KANSAS CITY, Mo. 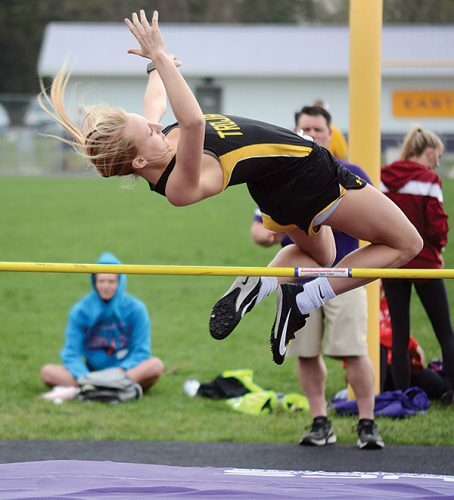 — Former Marshalltown Bobcat and current Taylor University track standout Rachel Blagg was selected as the National Association of Intercollegiate Athletics (NAIA) Women’s Indoor Track Athlete of the Week. Blagg scored wins in the 1,000-meter run and distance medley relay at the Indiana Wesleyan Invite, hitting NAIA A-standard times in each event to earn a pair of automatic qualifications to the upcoming NAIA National Championships. Blagg put on a show by running the NAIA’s fourth-best time in the 1,000 this season with a mark of 3 minutes, 0.51 seconds. Blagg also teamed up with the distance medley relay team to put up the sixth-fastest time in the nation this season with a 12:30.83. Blagg is the fourth Taylor athlete to earn NAIA National Athlete of the Week attention in the 2018-19 campaign. 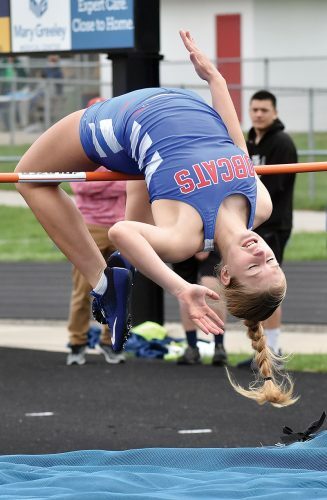 She and the Trojans will compete at the Crossroads League Indoor Championships on Friday and Saturday on the Taylor campus in Upland, Indiana.